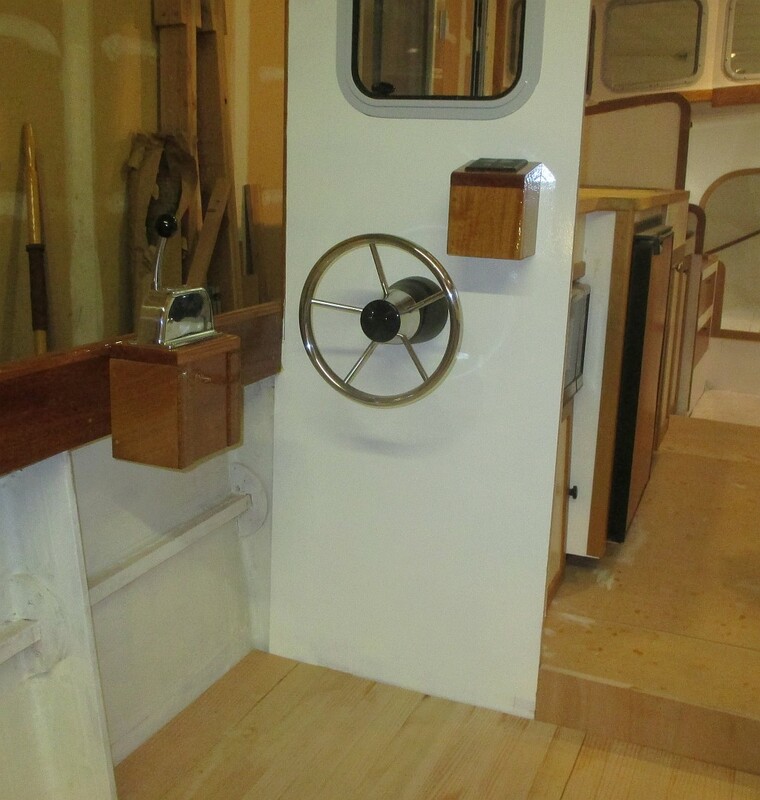 Decks are the priority, because they need to be on to finalize the steering system and get the boat to Atlantic for the engine. Plain old vertical grain Douglas fir. 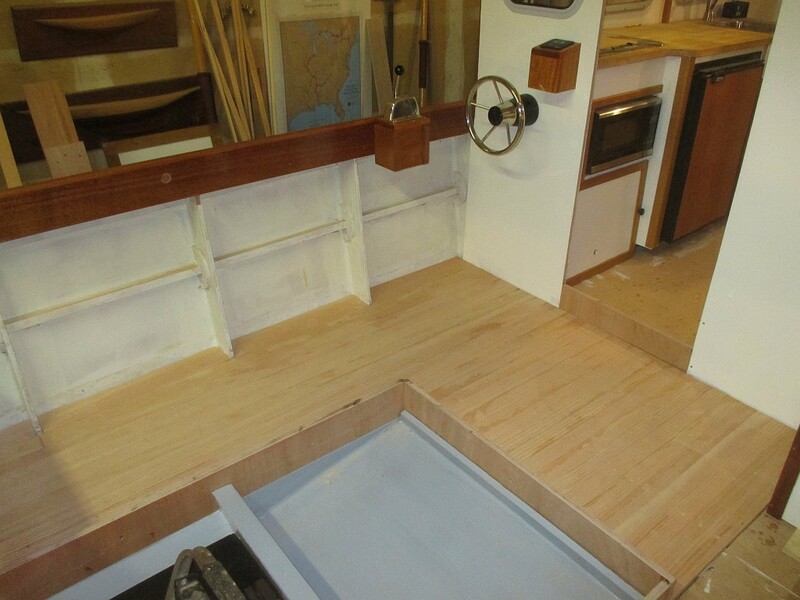 I considered every option, having had two years to do so, and to keep true to the look of the boat (and because teak is out-of-this-world expensive) went ultra-traditional. 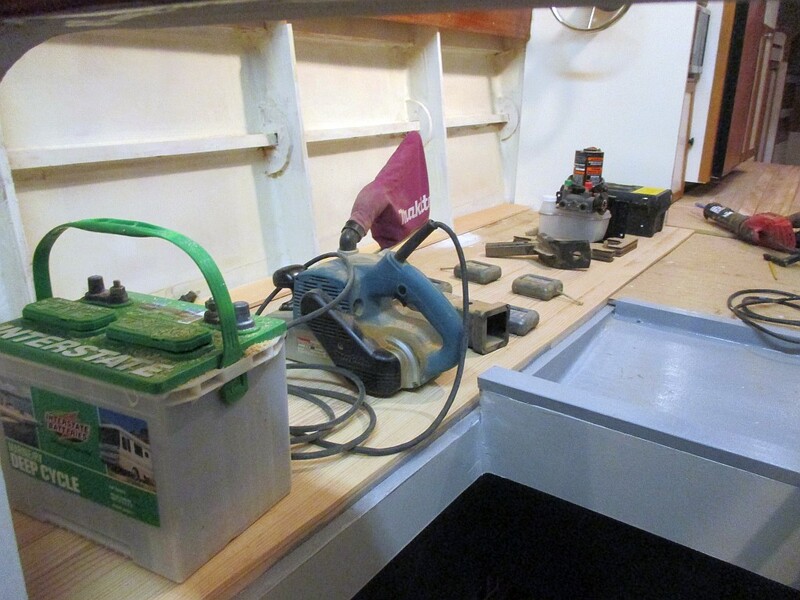 I looked at many, many wooden boats on my trip to Port Townsend last year and that’s what they have — glued boards, except I am using epoxy for the glue instead of tar. 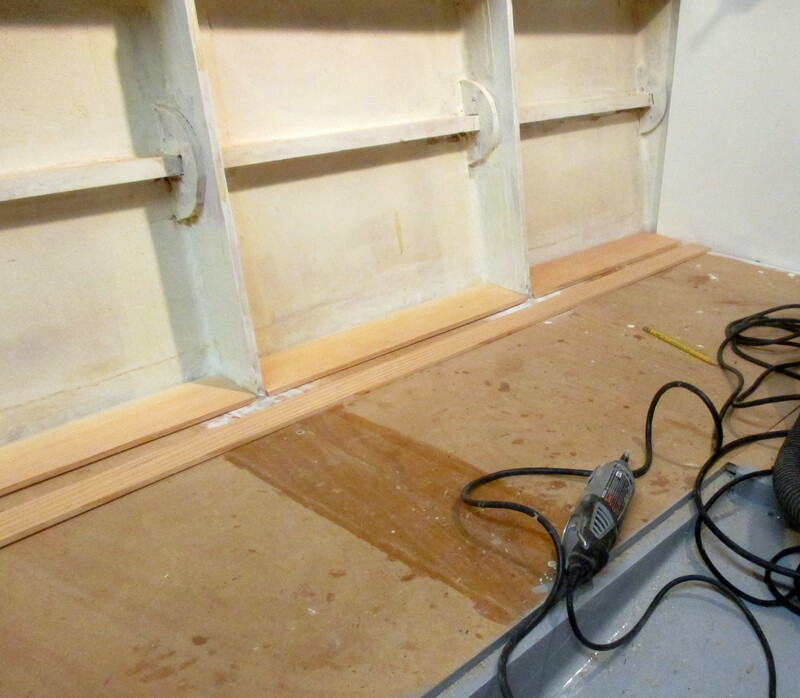 Decking has been a lot of work, since given a slight curve in the boat from the deckhouse to the stern, each board has to be individually fit, glued, screwed and bunged. Looking good already even without finish. Both wheels arrived, so I finished up all the various console pieces and put them in. 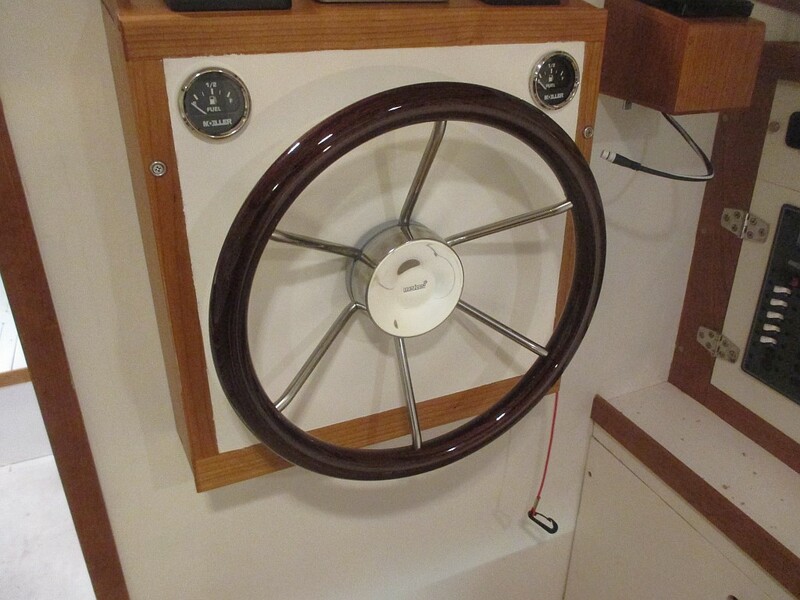 The deckhouse wheel is a work of art — stainless steel wrapped in mahogany with nary a seam showing. It was imported from Holland, but made in Italy, so I sense there is a sports car or sleek Italian runabout out there with the same wheel somewhere. I am gradually hooking all the systems together. 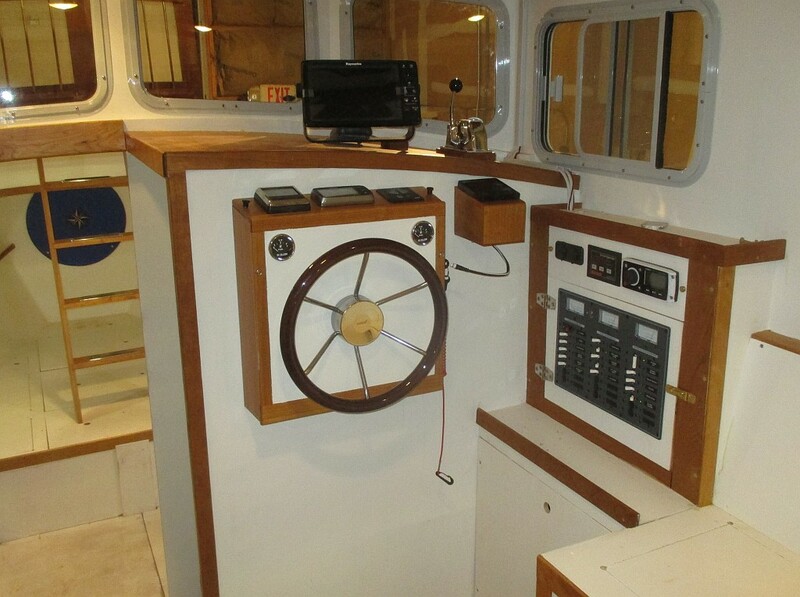 Bow thruster controls are in, autopilot control is as far as I can get it, as well as depth sounder. 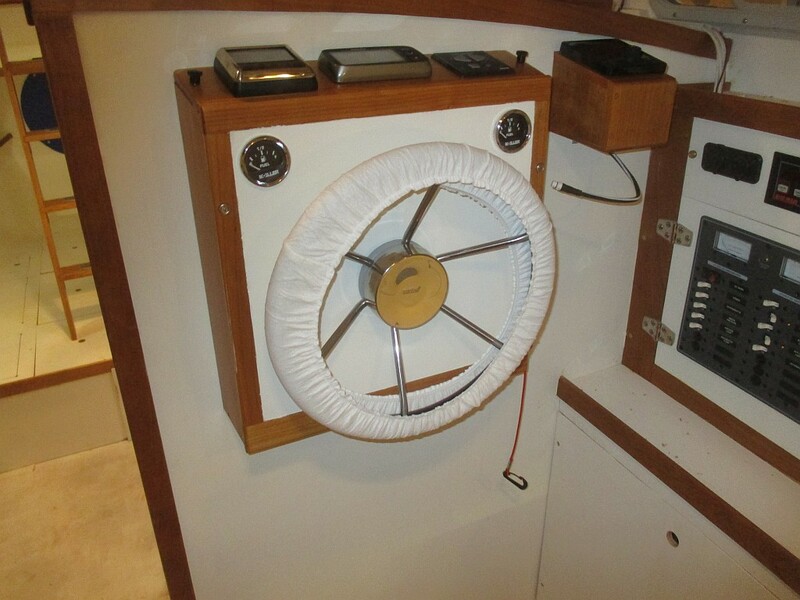 It struck me that pretty soon I would have to be able to tie up the boat, so feverishly ordered cleats and chocks, only to find most are on backorder. 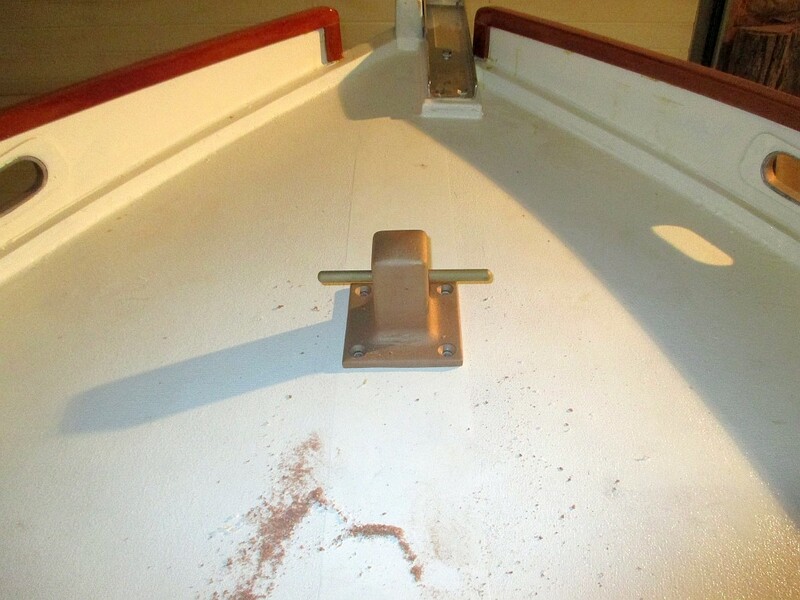 But I did get the beautiful cast bronze mooring bit dryfit and ready to go. 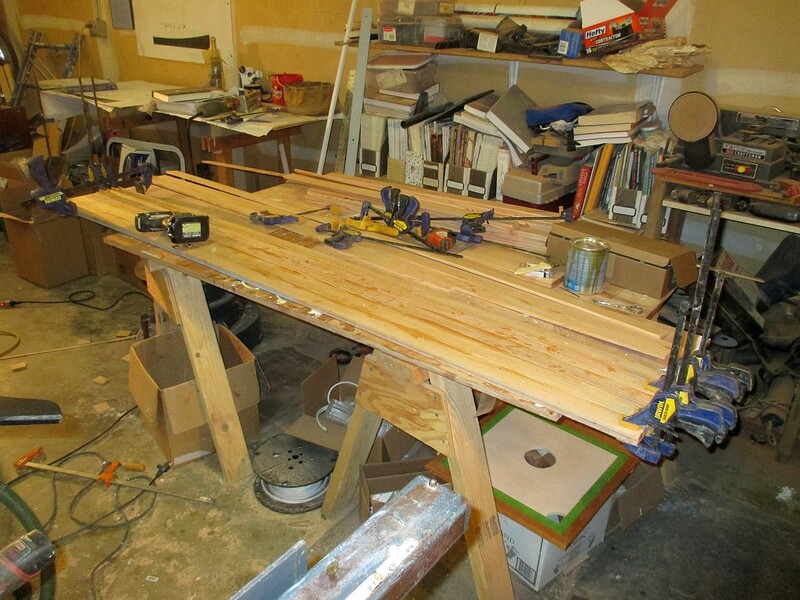 Began working on the motor housing with five-inch plywood planks around the motor well perimeter. These are totally sealed to keep water from coming into the boat when backing up or in a heavy following sea. The motor cover sits on battens on the planks, so water would have to go up into the well, over the planks and down around the engine cover seal to get in. 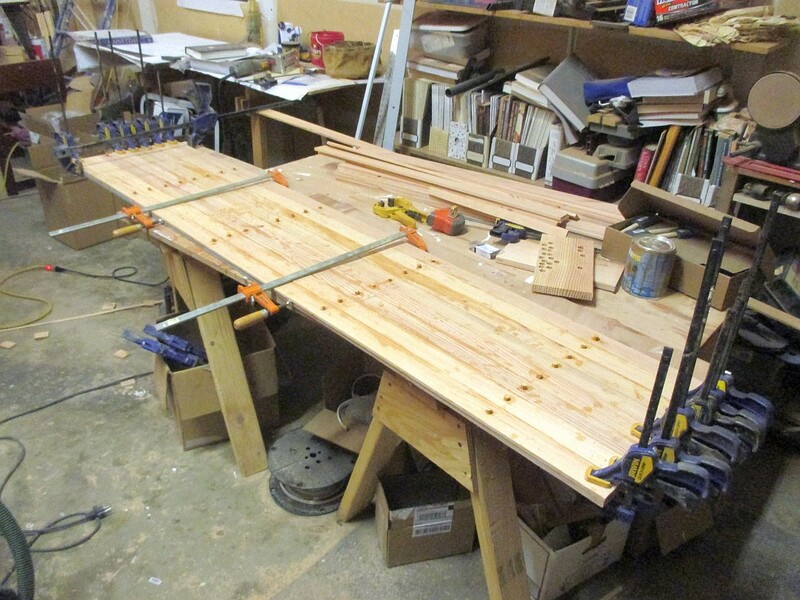 Decking going in — one board at a time. Manufacturer provides a “bootie” for the wheel — wouldn’t want it to fade in that nasty sunshine. such beautiful craftsmanship! belongs in a museum! You should be justifiably proud.